Considering I gave Robert B. Reich’s Saving Capitalism a rave review, it’s no secret I’m a huge fan of the former secretary of Labor under President Clinton. So I am thrilled to give Reich’s latest book, The Common Good, another rave review. The Common Good is a call to arms to anyone who cares about the state of our country and all of its citizens. And when I mention a call to arms I don’t mean guns and ammunition. This book is a call for us to bring a sense of empathy, sensibility and basic human decency when it comes to politics, business, religion, education, media, activism, and our communities as a whole. And The Common Good is written in an enthusiastic and perceptive manner that will connect with a wide audience. 1. What Is the Common Good? 2. What Happened to the Common Good? 3. Can the Common Good By Restored? Part one is a primer on the common good. It starts out using the sheer awfulness of Martin Shrekeli and how he fully encompasses what is not the common good. As part one moves on Reich explains both the common good most of us share and origins of the common good. In part two Reich examines what exactly happened to our nation’s common good through a 3-prong dismantling of the common good’s structure. Believe me, it’s not pretty. But before readers gnash their teeth in despair, Reich wraps things up with a manifesto on how we can restore the common good, which includes leadership we can trust, the use of honor and shame, resurrecting truth and finally but most importantly reviving civic education for all citizens starting in grade school and high school. Some of ideas may be a bit difficult to implement and others will be quite simple. But all are vital. The Common Good is written in an audience-friendly style that instructs and inspires and will hold your interest long after you are done reading it. I can’t recommend it enough. The Common Good is both timely and timeless. Even though the economy is supposedly getting better and jobless rates are lower, Americans are still dealing with unemployment, underemployment, wage stagnation and just all-around job dissatisfaction. By now you know the color of your parachute. You’ve leaned-in more than once or twice. You’re no longer a dummy or an idiot when it comes to creating a great resume or handling an interview. You’re on LinkedIn. You’re fully engaged on various social media. But what other steps are there when it comes to career success? I know I’m trying to figure it out, and maybe so are you. 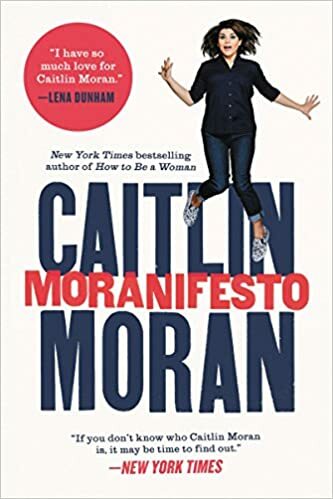 I often look for books that take these issues head- on and offer doable, concrete advice on how to navigate the world of work (and looking for work) in the 21st century. 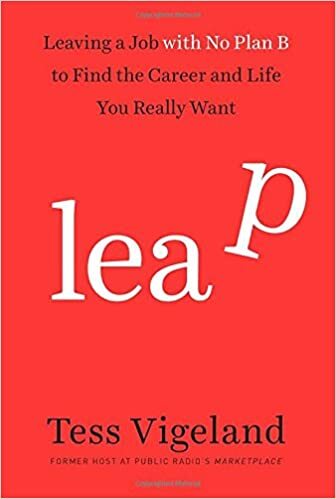 Sadly, Tess Vigeland’s book Leap: Leaving a Job with No Plan B to Find the Career and Life You Really Want is not one of those books. For the uninitiated, Tess Vigeland was a host for NPR’s Marketplace. Vigeland initially wanted to work in television news but found a place in talk radio. And due to her talent and ambition became quite successful. Vigeland worked for several years at Marketplace and was beloved by both NPR and its audience. Nope, none of these things happened. Vigeland just felt unfulfilled…so she left Marketplace, and she had no other job in sight and no concrete plan on finding another. Now you may wonder how being jobless with nothing on the employment horizon affected Vigeland? Did she end up dead broke, nearly homeless? Did she have to work a bunch of crappy jobs, go on food stamps, sell her belongings or really struggle after she leapt? No, Vigeland didn’t deal with any of that. Instead, she had a great deal of money saved up, is married to a successful man and a she also has a network of well-connected and well-off close friends. If this isn’t a net, I don’t know what is! So instead of taking whatever opportunity that came her way, Vigeland was able to “find herself” in a staycation version of Eat, Pray, Love. While on this pursuit, she never really questioned why she felt so unfulfilled at Marketplace. To me, it seems as if she needed a lot of external kudos and applause and Marketplace wasn’t fueling her ego. Now, this I can understand; people often only define themselves and their worthiness by what they do for a living. People want their jobs to be more than just earning a paycheck. So Vigeland didn’t have a job, and without a job, she didn’t have an identity and she didn’t have a paycheck. But she did have a lot of free time to interview other people who also made the choice to Leap, and like Vigeland, they also had privileges that most of us don’t have. And by the time Leap got to this point, I was starting to get pissed off. Story after story consisted of privileged, moneyed, well-connected people who just didn’t feel fulfilled, talk about first world problems. And as I read their tales, I grew more and more bored…and cheated. Leap (at first glance) is sold as a how-to but it is just another memoir, and a fairly dull one at that. Vigeland is hugely self-absorbed but not very self-aware. She never truly acknowledges her privilege, not just when it comes to her professional success, but also the privilege she has had since she was a child-upper-middle class parents, excellent education, fancy internships, a network of well-connected friends and classmates, a loving and supportive spouse, and so on. I do not hate her for any of those things. And I fully acknowledge her intelligence, ambition, talent and work ethic in a culture that seems to undermine these qualities. I just think of a bit more of self-awareness and fully owning up to one’s privilege would make Leap a bit more bearable to the reader. 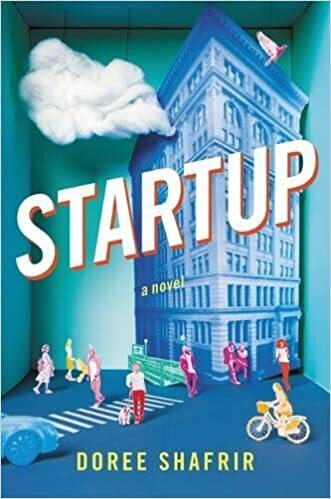 So don’t let this book Leap onto your reading list, and dust off those copies of What Color is Your Parachute and Job Hunting for Dummies. They’ll probably be a bit more useful.